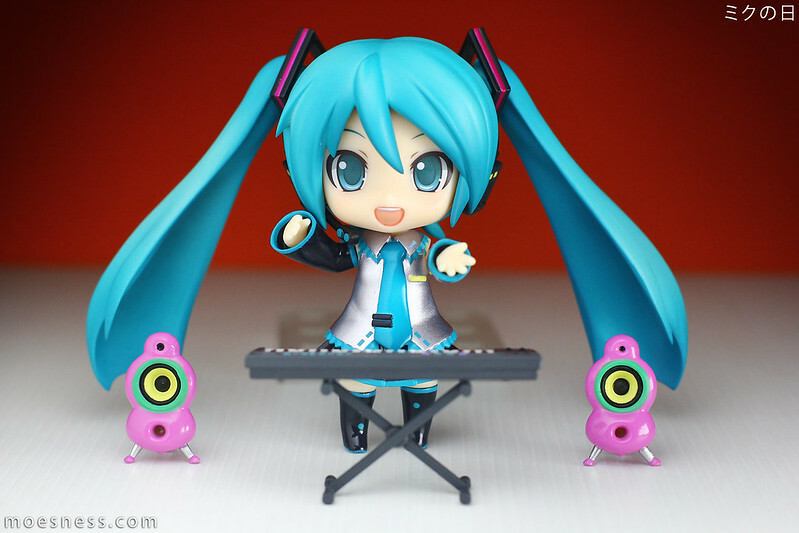 I’m neither a fan of Miku nor Vocaloid but I can’t deny that their characters are absolutely cute, especially the ones under Nendoroid. This is just a very straight-forward portrait photo of Hatsune Miku 2.0, I wanted it to be simple with just Miku looking towards the camera and reaching out to us as if we’re fans. Camera used : Canon EOS 60D with EF 50mm f/1.4 lens. I use an LED light for this setup, this light isn’t cheap. It has quite many bulbs and I nearly went blind as I tested out many shots before settling with this. The orange background at the back is to provide a solid colored background and added color. Post Processing : The exposure was good but I decided to enhance it by slightly brightening all other areas except the face, and then darken the corners for a vignetting effect. You will be able to use the EXACT same setup for your shoot. If you’re using lamps (like those from IKEA) then it would be best if your camera (whether phone or not) comes with white balance adjustment. For lights of less intensity, you should be using a tripod so you are able to go with longer exposure to get the desired output. As you can see there’s only a single light source, and that’s from the LED lights on the right. The lights from the LED lights up the subject from the right BUT it wouldn’t be complete if I were to rely on the light alone. This is where the 2 pieces of white board come into play. The one at the top reflects the light from the LED, resulting in a softer shade of light coming from the top and left side. The white base serves as a reflector too as it reflects both the lights from the LED (in a less direct way) and the light that’s already reflected from the other white board. 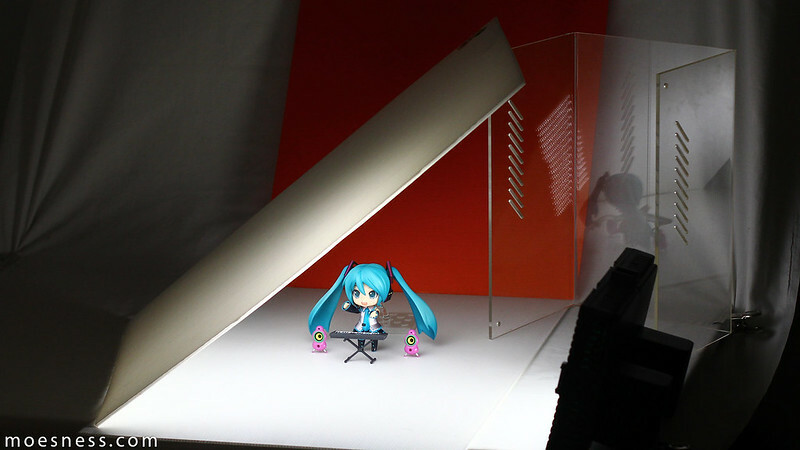 Photographs like this come with some compromise, for example Hatsune Miku’s holding plate is visible but since it’s dark doesn’t grab attention until you look closer at the image.